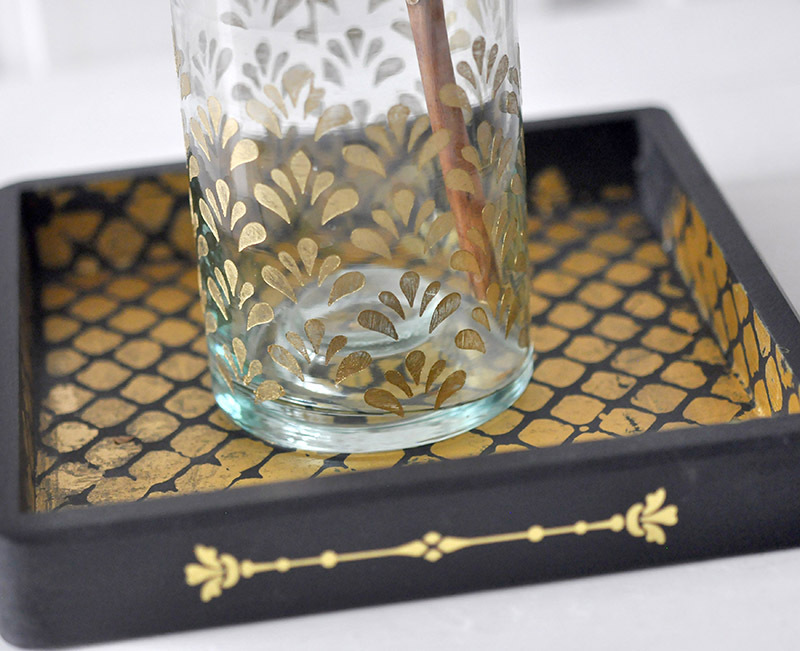 When using a Stick & Style stencil your paint will not drip behind the design as the adhesion is wonderful. Positioning is fool-proof as you can adjust the stencil for a perfect fit. 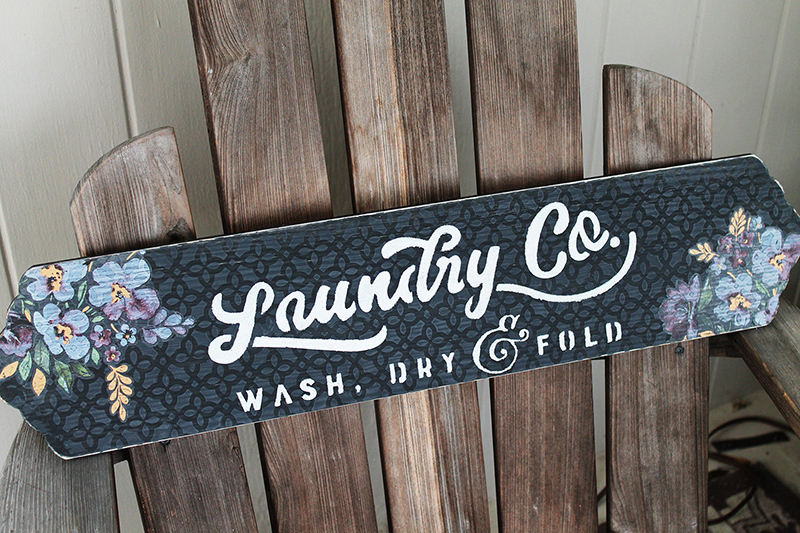 After adding paint or wax over the stencil, just lift it up, wipe it off, and reuse again! 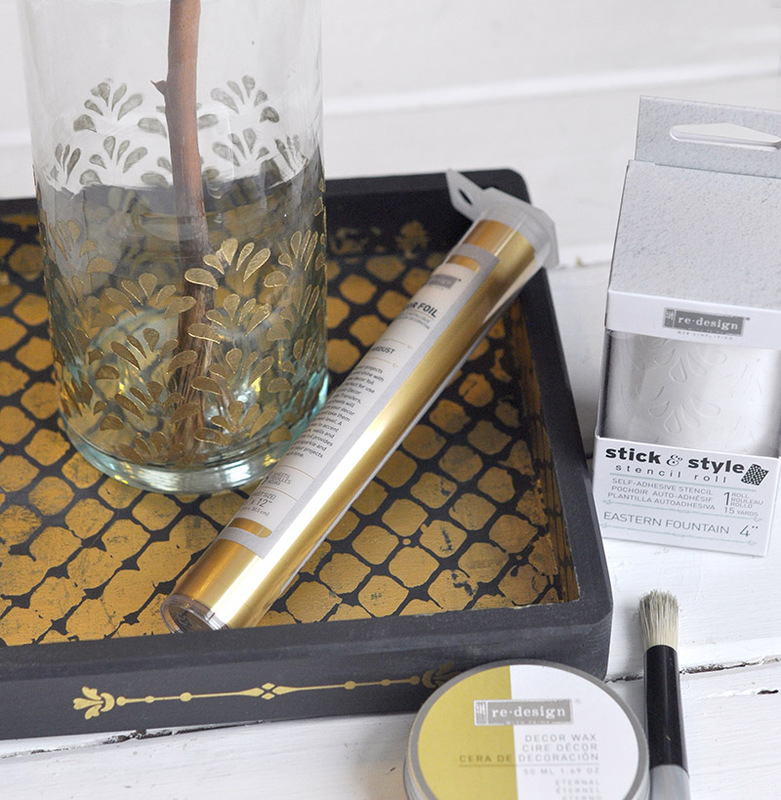 Yes, Stick & Style Stencil Rolls are reusable! The stickiness will last for multiple uses. Available in six luscious patterns, Stick & Style designs are four inches wide and contain 15 yards of reusable, headache-free stencil! Spray over the stencil, or use a waterbrush, for lovely “feathered” results. 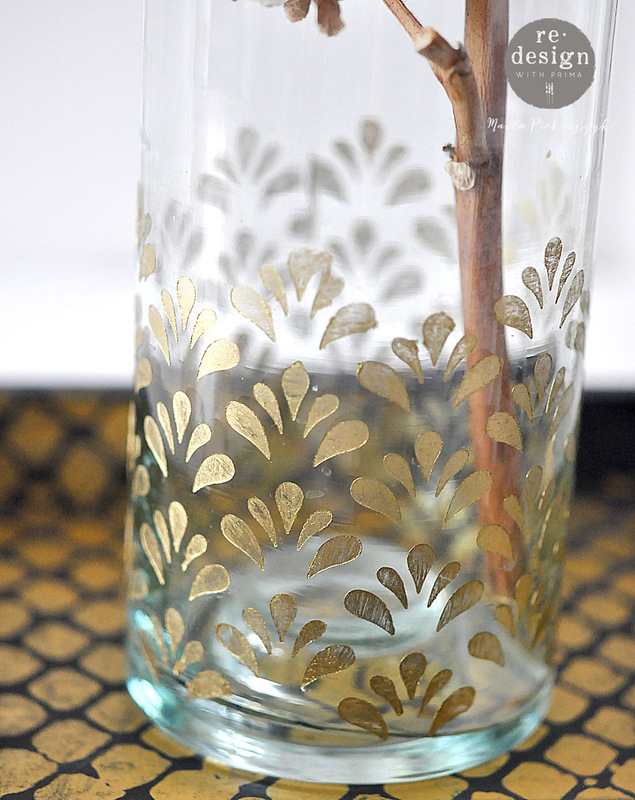 We love how Anita repurposed a bottle she was going to toss...adding Stick & Style to it’s rounded body to create design. 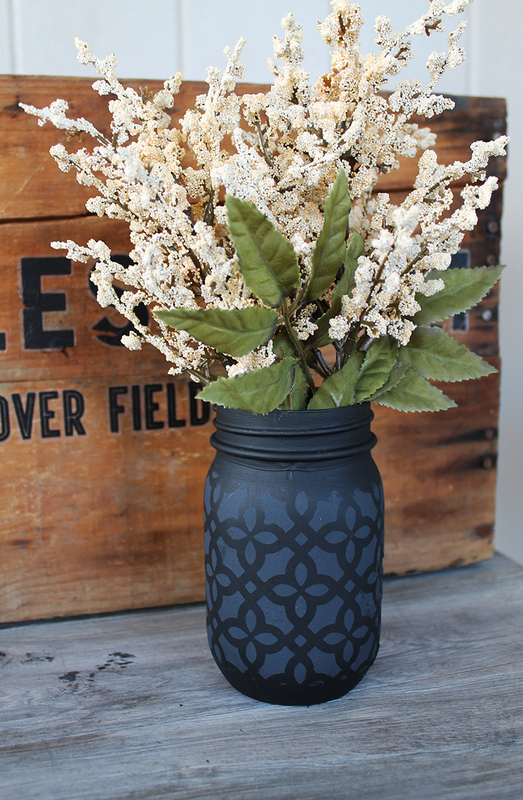 There’s less to throw in her recycling bin and she created a beautiful piece for her home, so it's a win-win all around! We can cut them, use them anywhere you need, and in any shapes you want ! I painted this trey using white paint and chalk pastes. 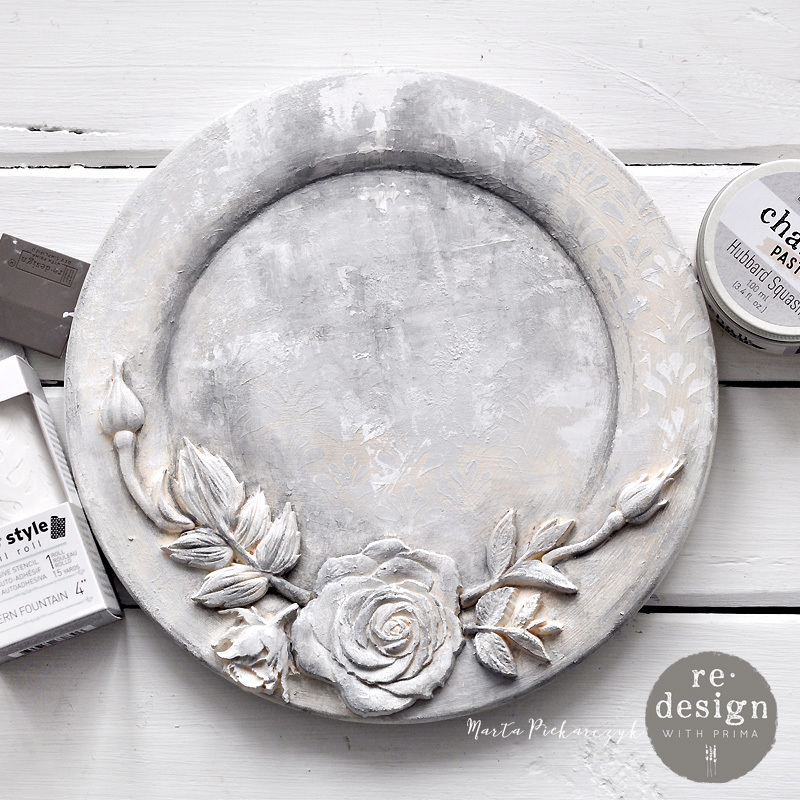 I added a part of the gorgeous Redesign Decor Transfer - Overflowing Love . 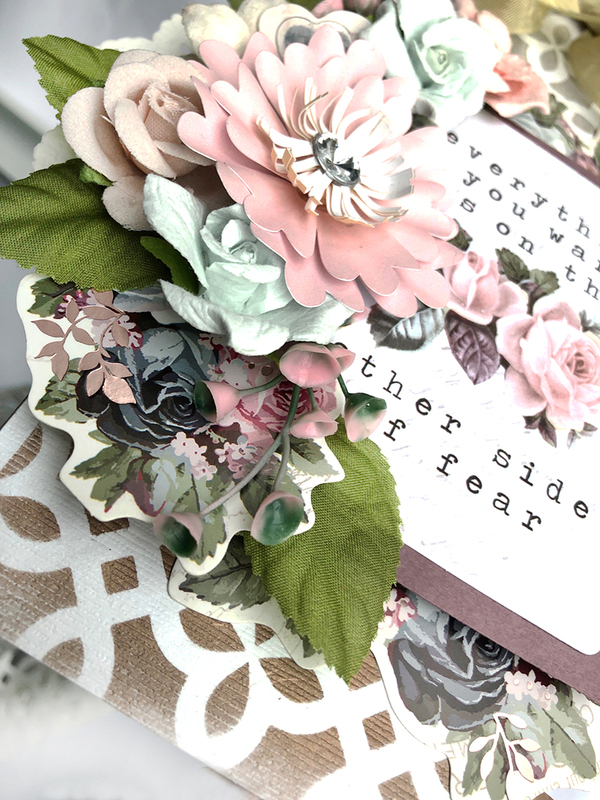 For this tag I blended different redesign with Prima waxes over watercolor paper, creating an ombre effect down my tax. The waxes are shimmery, so the tag sparkles in the light! 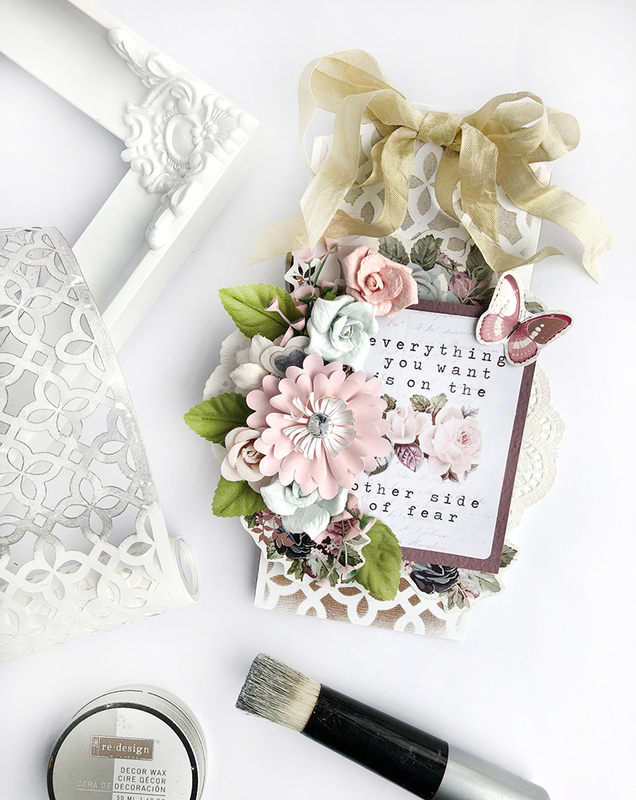 We hope you join in and try our new Stick & Style Stencil Rolls! What would YOU use them on?? ?